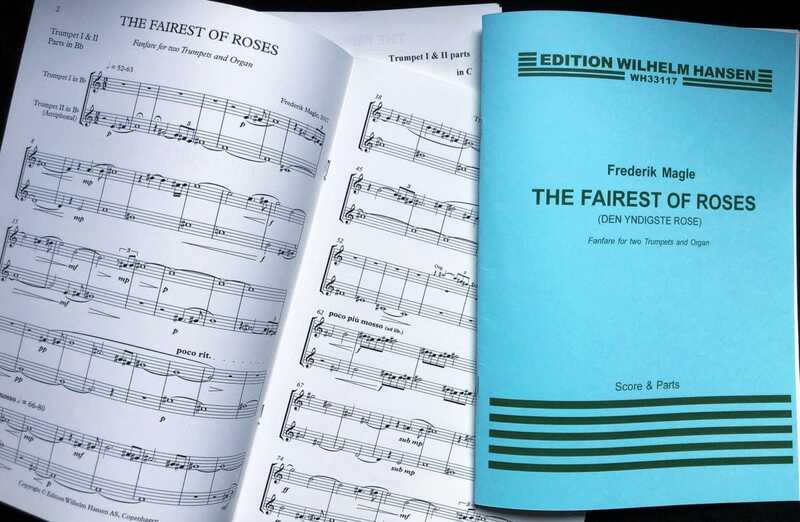 My fanfare for two trumpets and organ The Fairest of Roses (Danish: Den yndigste rose) has been published by Edition Wilhelm Hansen, and the sheet music (containing the full score, and trumpet parts in both C and Bb) is available worldwide! Above is a recording with trumpeters Jeppe Lindberg Nielsen (1st trumpet) and Nikolaj Viltoft (2nd trumpet: “antiphonal”) – standing in opposite ends of the church with a distance of approx. 100 feet (30 meter) between them – and myself on the pipe organ in Saint Paul’s Church, Copenhagen. It is the intention that the trumpets are placed ”antiphonally” with the audience between them, if possible. The work is based on Hans Adolph Brorson’s Christmas hymn “Now Found Is The Fairest of Roses” (“Den yndigste rose er funden”). The melody of the hymn is by an unknown composer and was first published by Joseph Klug in 1542. Even though the hymn is written for Christmas, “The Fairest of Roses” fanfare can be performed throughout the entire year. 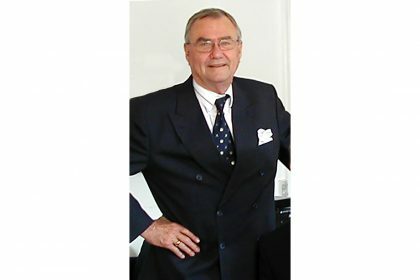 The score and parts can be ordered from most sheet music retailers worldwide, both online – such as Musicroom.com and Aarhus Music (noder.dk) which ships it worldwide at reasonable rates – and in stores. If ordering from a physical store you can use the following data: ISBN: 978-87-598-4108-2. Edition Wilhelm Hansen catalog: WH33117. It is distributed by Hal Leonard in North America. Also, feel free to contact me directly! (If you order the sheet music, but it can’t be shipped/delivered in time for a performance, I will be happy to send you the pdf-files as well by email). The sheet music is sold as one package containing the full score for two trumpets and organ, as well as two sets each (four in total) of the trumpet parts in both C and Bb for convenience. The Fairest of Roses has been released on Spotify, iTunes/Apple Music, Amazon, Tidal, etc.